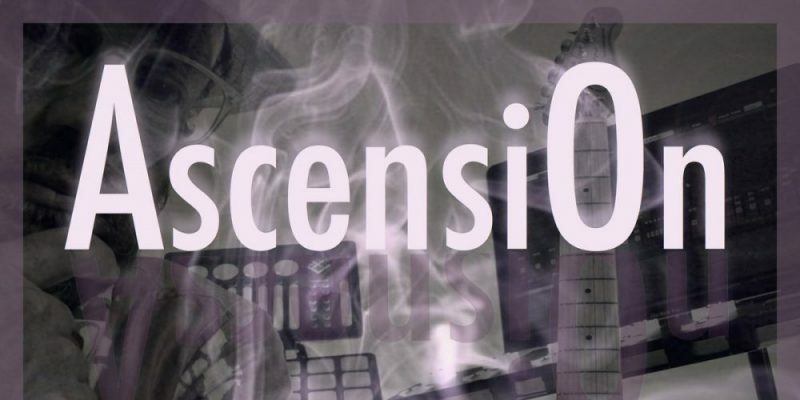 Nimbus is a creative project founded by musician and artist Patrick Fitzsimons, and Ascension is an EP that offers listeners a brief yet detailed experience – one which beautifully highlights a range of musical pathways by means of four distinctly colourful compositions. Baba Said is the opener, a piece which showcases a Cuban rhythm and brightness, underlining the leading artist’s background in and passion for percussion, as well as joyfully laying down a solid foundation for the creative drive and desire that will follow along. The music is optimistic, vibrant, uplifting, and perhaps a little hypnotic. The sound begins in a seemingly organic way, layering instrument upon instrument in a live-band sort of manner. Soon enough though, something more electronically sourced begins to emerge, and by the end the vibe exists somewhere between dub or reggae and EDM. MmTang is a softer piece, more reflective – creating around you an easy going, slower paced piece of retro electronica on top of a notably organic rhythm section. The repetition keeps you moving, and these snippets of colour and character keep things fresh and interesting throughout – the flicker of guitar, the break in the movement, the evolution and eventual fade. It’s a uniquely crafted piece of music in more ways than one. This approach to musical expression is loaded with individuality – the Nimbus sound quite swiftly settles in as its own thing. Dub Espace sees the project change direction once again. A funky, reggae-inspire groove unfolds, later blossoming into something once again complex and detailed, but always holding strong to that ambiance – the thread that is the emotion and overall feel of the track. This one is a personal favourite as for me it really draws your focus to the reflective and thoughtful side of artistry, as well as keeping things lightly energetic and hopeful. You feel the emotion of this wave of audio, the whole thing seems extremely interconnected, expressed to deal with something – as opposed to being crafted simply to make you dance – yet without inflicting upon you an overly sad or depressing mood. On the contrary, it makes you feel great, and the snippets of personality remind you of the humanity behind it – therefore provoking thought, and unquestionable calmness. Enter The Outward makes for the perfect finisher, the dreamlike smoothness of this piece keeps the calmness with you, yet the creative instrumental journeys within add a final touch of the unexpected. This entire EP is unpredictable, it’s so varied and forever interesting, and yet at the same time it makes for an easy-access collection for those chilled out evenings with friends. For me, the music has the effect of making you want to create your own art. It’s inspiring – the Nimbus approach introduces you to skilled and thoughtful musicianship, as well as a crisp and warm soundtrack that has been wonderfully well produced. Very few comparisons came to mind, if any. Ascension is an intriguing and enjoyable project. Download the EP via Bandcamp. Find & follow Nimbus on Facebook. Visit their Website for more information.